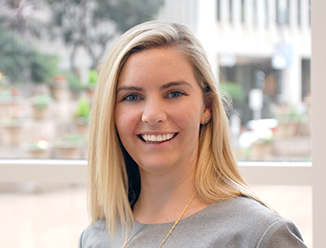 Meaghan Haley is a member of the San Francisco Bay Area Retail team, specializing in both the representation and development of real estate strategies for national, regional and expanding retailers and restaurants within the San Francisco Bay Area. Meaghan partners with retail developers, shopping center and mixed-use owners in the city of San Francisco, central business districts and shopping centers throughout the Bay Area to consult on the merchandising, best positioning, tenanting and leasing of their assets. Meaghan has been involved in commercial real estate leasing since she joined Terranomics in 2010. Her previous experience includes working with Target Corporation, F21red, Capital One 360 Café, Xfinity Studio, Proper Food, Blue Mercury, Pokeworks and more. Meaghan and team are currently leasing Bridgepointe Shopping Center in San Mateo, Alameda Landing, a Safeway and Target anchored center within a 72-acre redevelopment, 50 Fremont in San Francisco, and 168 Second Street in San Francisco. They have also leased The Block at Pacific Commons, a 120,000 SF center anchored by Target and Century theatres in the fifth phase of the Pacific Commons Shopping Center. Meaghan graduated from the University of California, Santa Barbara with a degree in Political Science.